Photo: Virgin River in its gorge, near the upper end. Eastern Mojave Vegetation Virgin River in its gorge, near the upper end. Photograph taken May 30, 2005. While driving through the Virgin River Gorge, I watched for a place to stop and take an interesting photo. Unfortunately, there are very few places to stop, and many places are signed "No Stopping." By the time we stopped here, we were nearly through the gorge, and there wasn't much interesting to see here. Field Notes: 30 May 2005. U. S. Interstate 15: Virgin R Gorge. 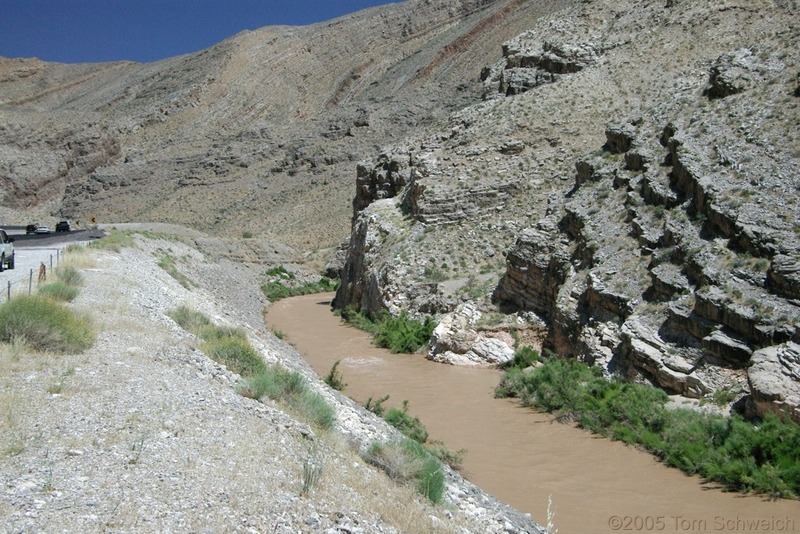 Other photos about Geography - Utah or Virgin River.